Royal Prince Alfred Hospital, and Bankstown-Lidcombe Hospital, Sydney, NSW Dr Glynis Ross is Visiting Endocrinologist at Royal Prince Alfred Hospital, and Senior Staff Specialist at Bankstown-Lidcombe Hospital, Sydney. Her major interests are Diabetes in Pregnancy, Type 1 Diabetes, Insulin Pump Therapy and In-patient Diabetes Management. Dr Ross serves on State and National Diabetes Working Parties. She was President of ADIPS 2008-10 and on ADIPS Council from 1991-98 and 2002-12. She is involved in teaching programmes of the Australasian Colleges of Anaesthetics, Obstetrics & Gynaecology, and Physicians, as well for Midwives, General Practitioners and Medical Students. 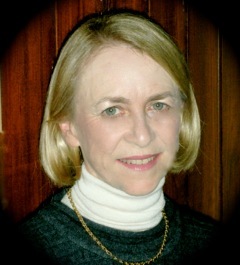 Dr Ross was elected to the Council of the Australian Diabetes Society in 2012.